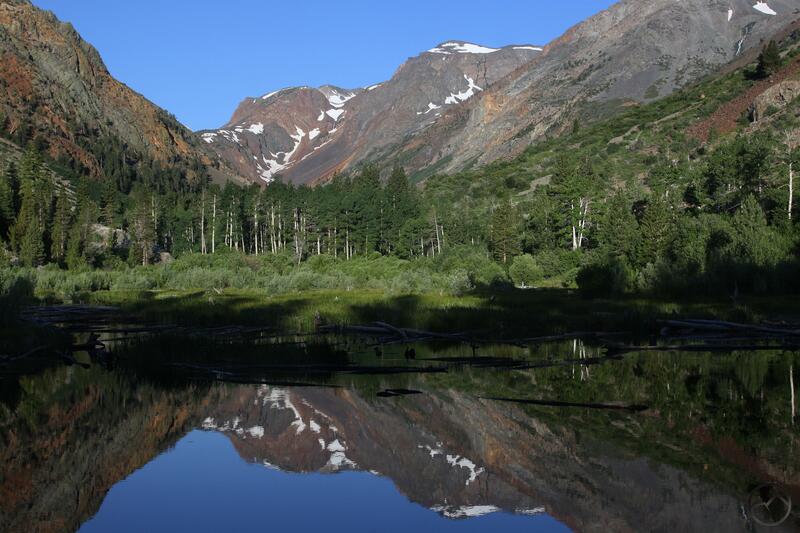 The high walls of Lundy Canyon reflect in a beaver pond. A week ago I got back from a quick trip to Yosemite with my wife and kids. This was the annual trip I take where I meet up with my family in the valley for a week of trails, traditions and lots of kids playing together. This year we could not muster a full week but it was still a good trip. Fortunately, I was able to get a couple of hikes in for the book. The first trail was completed before we got to Yosemite. While driving down Highway 395 from Mount Shasta, we camped in Lundy Canyon. This is one of my favorite places around Yosemite. 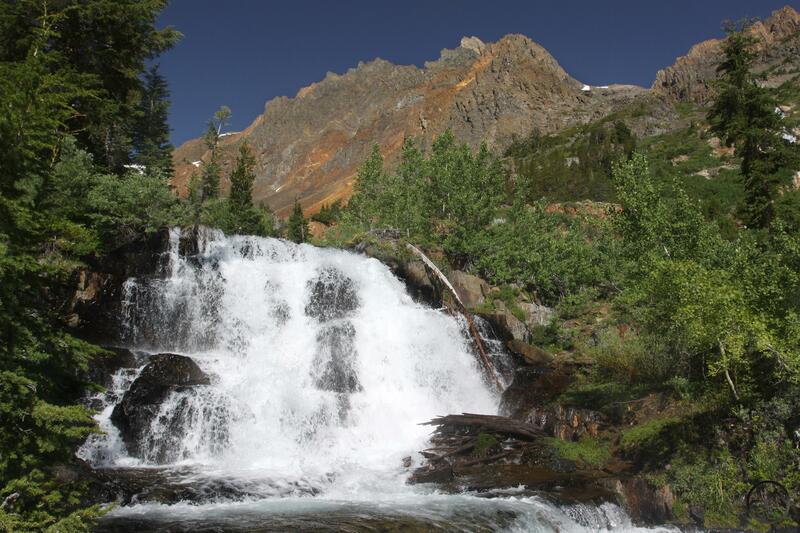 The next morning I was joined by my wife and children for a hike up to some of Lundy Canyon’s beautiful waterfalls. Once we were set up in Yosemite Valley, I was able to hike the Panorama Trail, my favorite trail of all time. I was joined on this trip by my wife and my oldest son, who is 6.5. It was quite an accomplishment for him to complete the hike, which he did in great spirits and with much enthusiasm. 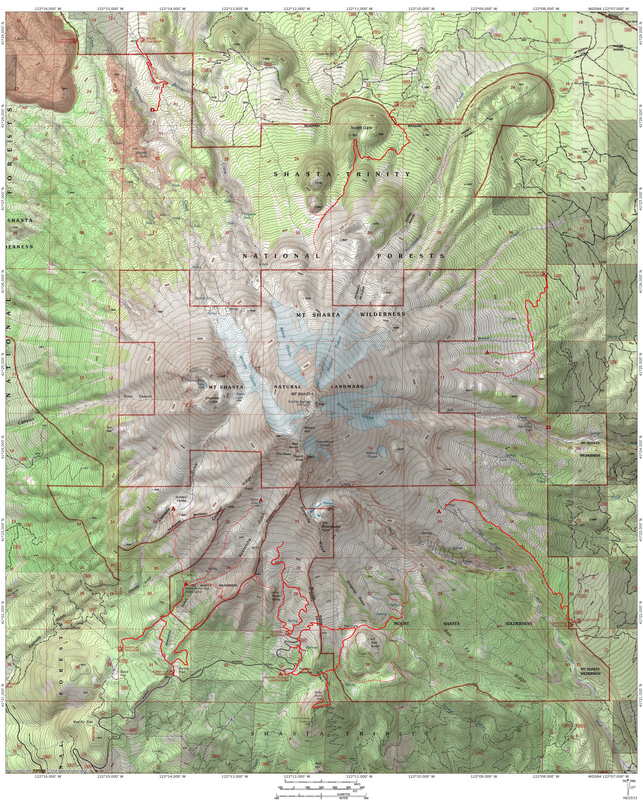 Once we returned to Mount Shasta, I was able to slip away for a day and complete a quick hike to Summit, Cliff and Campbell Lakes in the Marble Mountains. This leaves only three trails left up in this area to complete. The balance of the hikes I have left are all in the Sierra Nevada. I make no bones about the fact that Yosemite’s Panorama Trail is my favorite hike. Mile for mile and step for step, it has the most stunning scenery packed into a single hike. Epic High Sierra vistas, the opportunity to gaze down into the yawning chasm of Yosemite Valley, birds eye views of Yosemite, Vernal and Nevada Falls and up close views of the latter two and Illilouette Falls are just some of the highlights of this amazing hike. The views of Half Dome are nearly constant yet ever-changing. I will end my description there, but there is much more to add. For lots of images, you can find them in one of my earliest posts on the blog. The one drawback the trail has is that one must first get to the top of Glacier Point. Getting a ride from someone or taking a bus to the top are two of the three options. The third, and best, is to hike up. To do this, one must shuttle over to the lodge and then walk from there to the Four Mile Trail trailhead. I took the above image of Yosemite Falls while GPSing this section of the hike. Needless to say, it is not a comedown in terms of scenery. From there, hikers must climb the trail up to the top. 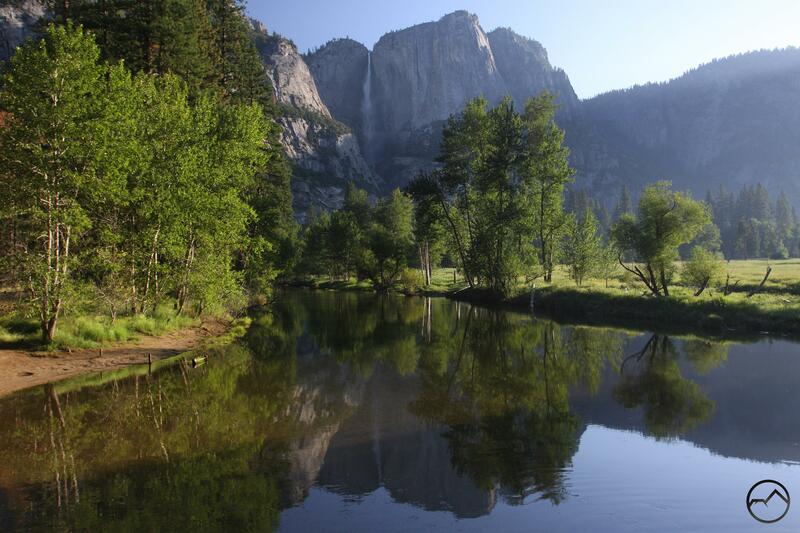 This too, while hard in some places, has a moderate grade and ever-changing and spectacular views of Yosemite Valley. These, added to the ones on the Panorama Trail, constitute one long, utterly stupendous hike through America’s scenic crown jewel. After returning to Mount Shasta, normal life resumed for my family but I was able to get away for a single day to hike in the Marble Mountains. The Marbles are really a backpacker’s wilderness so picking a trail that is not too long but still packs in tons of scenery can be a bit challenge. 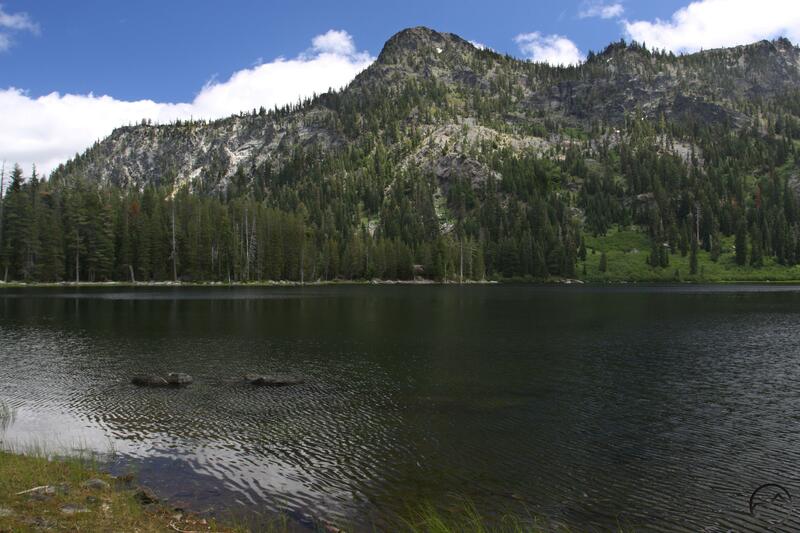 The shortest good trail is to Paradise Lake, but that area is not necessarily the best representation of the area and it suffered some damage in the Happy Camp fire. Instead, I decided to include the lollipop to Summit, Cliff and Campbell Lakes. This hike, though on the long side for a day hike is 13 miles. Fortunately, the elevation gain is pretty gradual and there is a ton of scenery packed into it. Raucous Shackleford Creek keeps things interesting and lots of meadows highlight the early part of the trail. When the real high country begins it is a non-stop parade of mountain vistas, tall cliffs, deep lakes and overall beautiful alpine country.